We’re not juking! 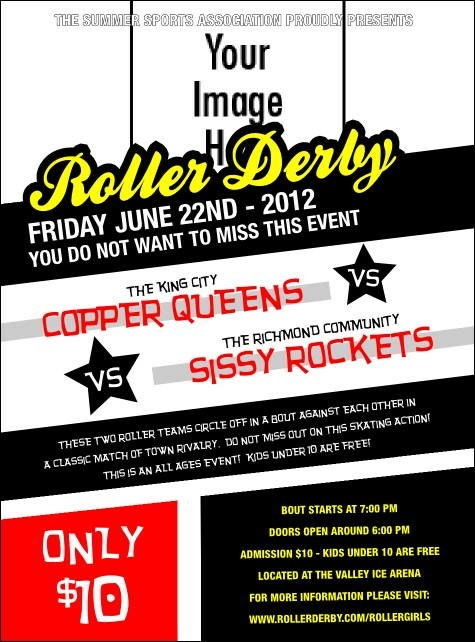 Pack some extra punch into your pre-event promotions with Roller Derby Passing Star Flyers. These Flyers feature tons of room with colourful, in-your-face text to advertise the upcoming skate action, and have space to upload your own unique image across the top. Showcase your all-star team with Flyers from Canada Ticket Printing.